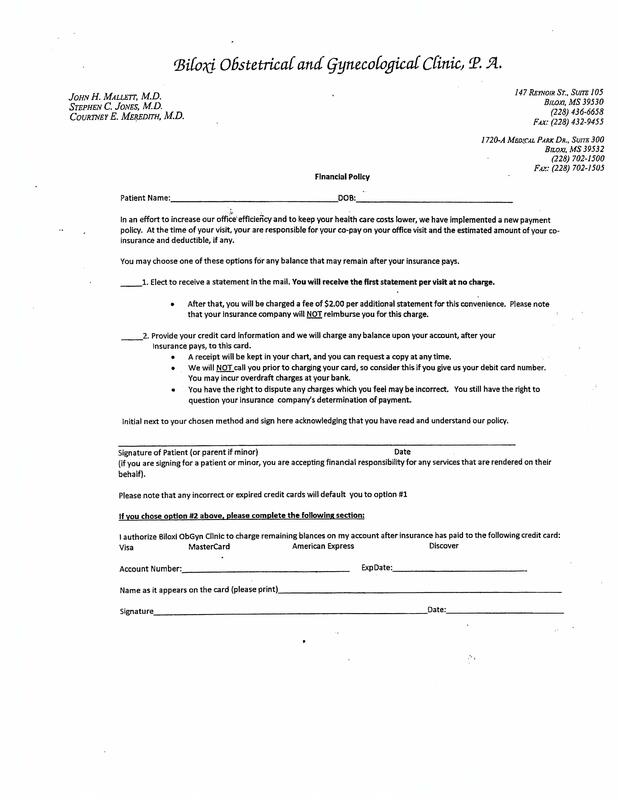 If you are a new patient, please plan to arrive at least 20 minutes early to your first appointment to allow time to complete the necessary paperwork. 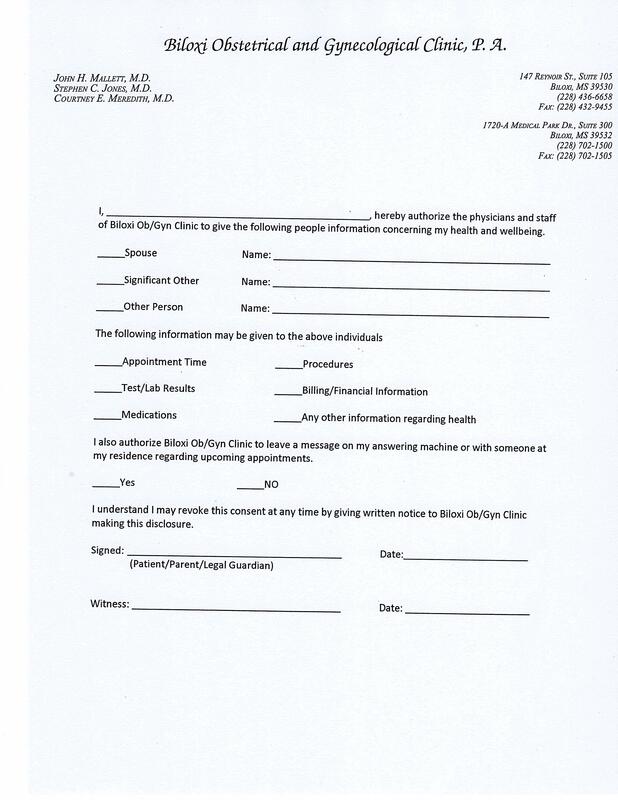 To save you time on the day of your appointment, you may download our New Patient Forms and complete them prior to your appointment. Please remember to bring the completed forms along with your insurance card, photo id and co-payment with you to your appointment. 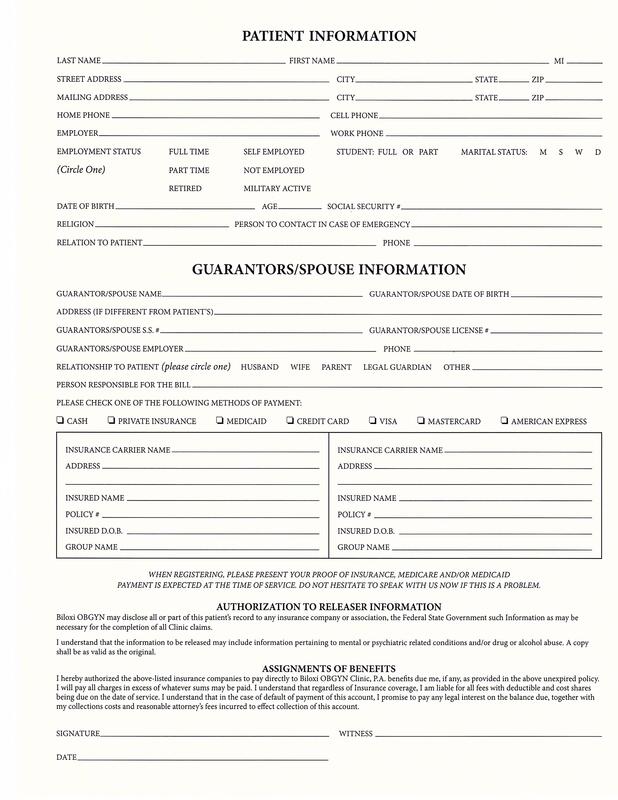 These forms are provided for your convenience. 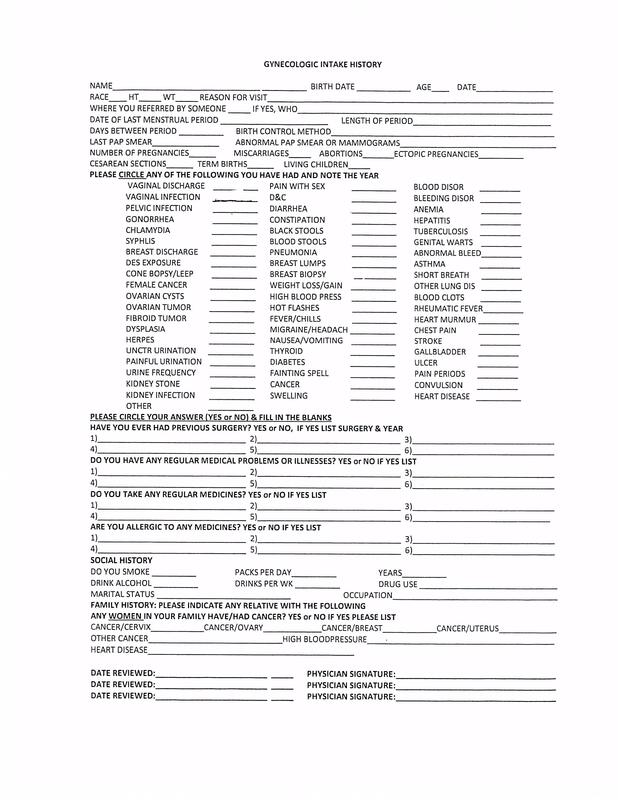 Please print out each form on white paper and use black ink pen to complete forms. 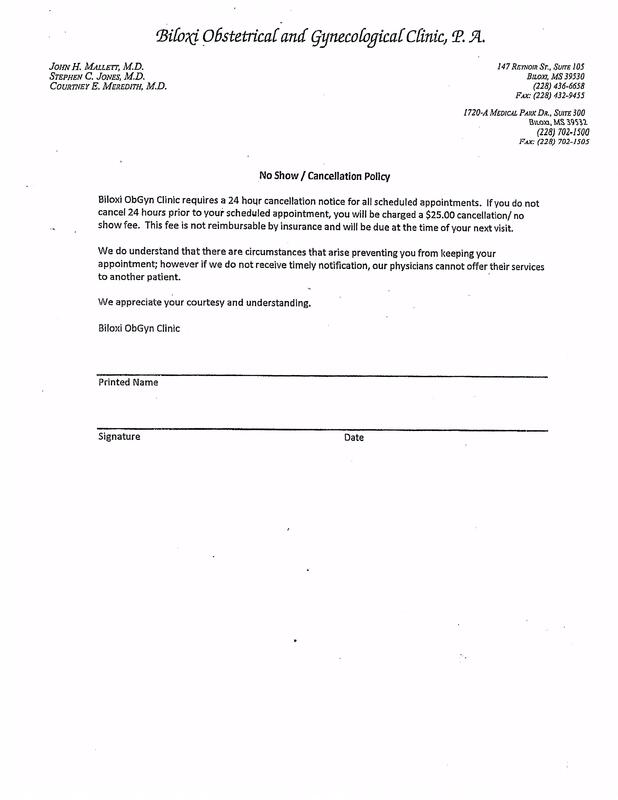 Bring these forms to our office after completion. © Biloxi OB/GYN Clinic, PA, 2019. All rights reserved.